CBNT is a decentralized professional content sharing community-based on blockchain technology and an ecosystem model of DPGC (Decentralization Professional Generated Content). In the beginning, we will focus on blockchain and professional financial investment content. CBNT will create a win-win ecosystem for all participants, including content/articles providers, content readers (viewer), as publishers, and token holders. In the CBNT community, whether you are content generators or content viewers, both sides can receive tokens “Mining Rewards”. As CBNT grows and traffic boosts, all the profit of numerous ads will also be distributed to all of the participants. Content creators spend time creating content and provide value for the platform while ultimately transforming their work for the benefit of the platforms' profit model. Content viewers and communicators can't share the financial value that the content generated. High-quality content will be rewarded with more tokens, which equals financial benefit and reflects the value of creations. Second, lots of traffic will lead to high-quality content and generate advertising value. Content creators can realize additional benefits from their specialized knowledge through the establishment of paid readings, paid sharing groups and paid Q&As. High-quality content can attract more viewer’s attention, and viewers can gain CBNT tokens via sharing, commenting, and liking etc. This creates a positive feedback loop between content viewers and generators. Based on the CBNT Token operating system, content creators, viewers, and the CBNT community will become stakeholders. When the value of the CBNT community continues to rise, all CBNT token holders will benefit. 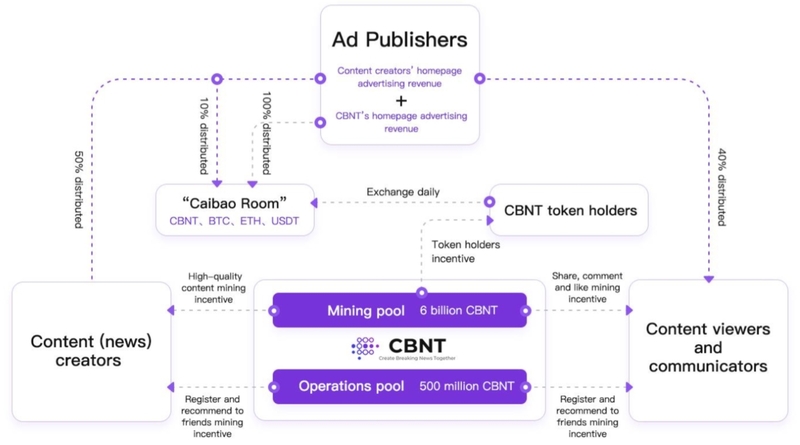 CBNT advertisements adopt an open and transparent bidding method to protect the interests of CBNT token holders. All CBNT participants are real name people providing high-quality traffic. This helps advertisers to effectively select real and precise traffic, increase advertising conversion rates, reduce advertising costs, and increase ROI. 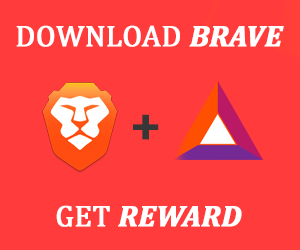 The advertisement can be paid with BTC, USDT, ETH, CBNT and other digital assets. 500 million CBNT will be provided to investment institutions that contribute financial resources, coordinated resources, strategic planning, and talent assistance in the early development of the project, accounting for 5% of the total. This part of the token will be pre-released and will be locked and released through a smart contract according to the private investment rules. To stay up to date on CBNT news and announcements, subscribe to Medium and Steemit channels, follow on Social Media and Twitter, and join the conversation on Telegram.